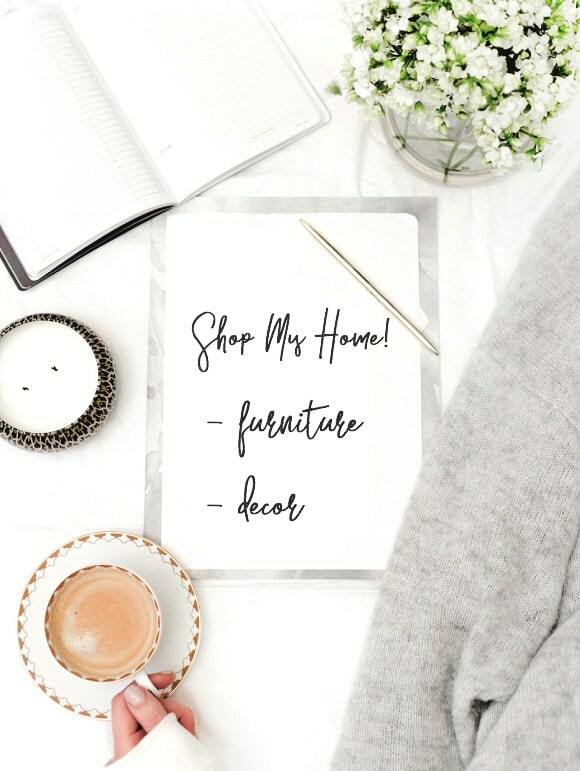 Shop my Home, my Beauty and Fashion Favorites, my Photography Equipment and the Blogging Tools I love! I also have updated sales and coupon codes for big weekend sales listed here too! Exact items are listed below. For items no longer available I found similar looks for you! Enjoy! 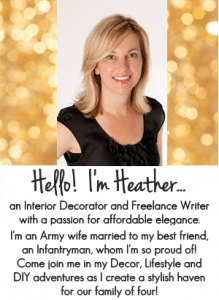 Before getting to the product sources – I have something fun, fabulous and FREE to give to you to help you with your decorating! 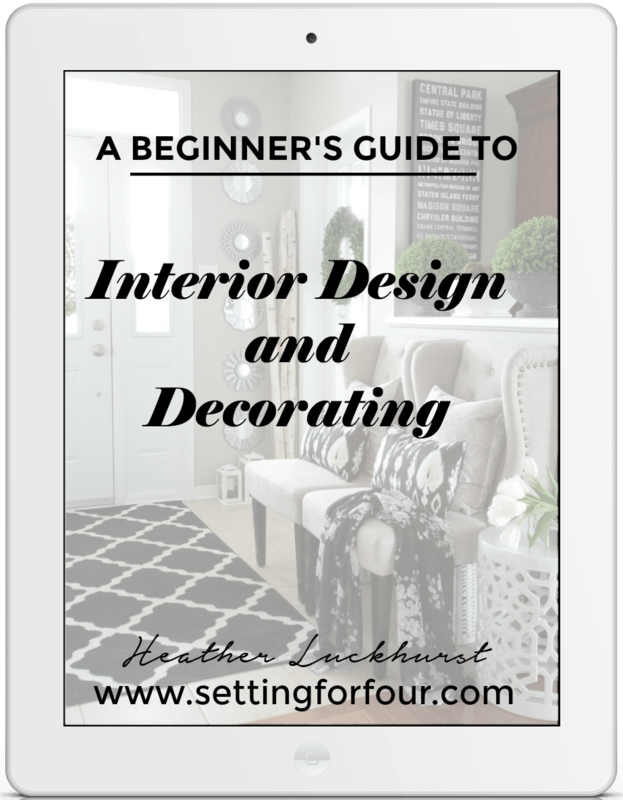 GET YOUR FREE PRINTABLE BEGINNER’S GUIDE TO INTERIOR DESIGN AND DECOR! 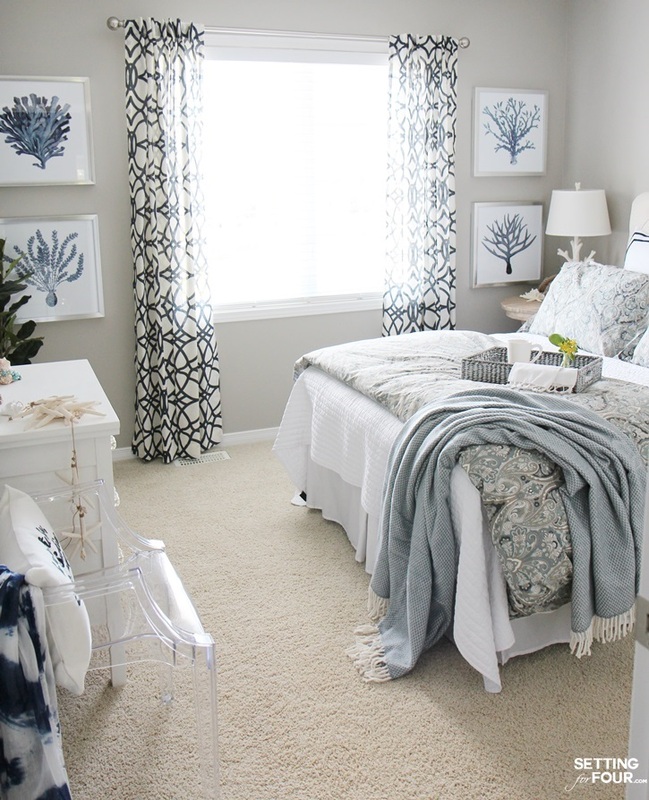 Learn the basic principles of decorating that will make you a better interior decorator. 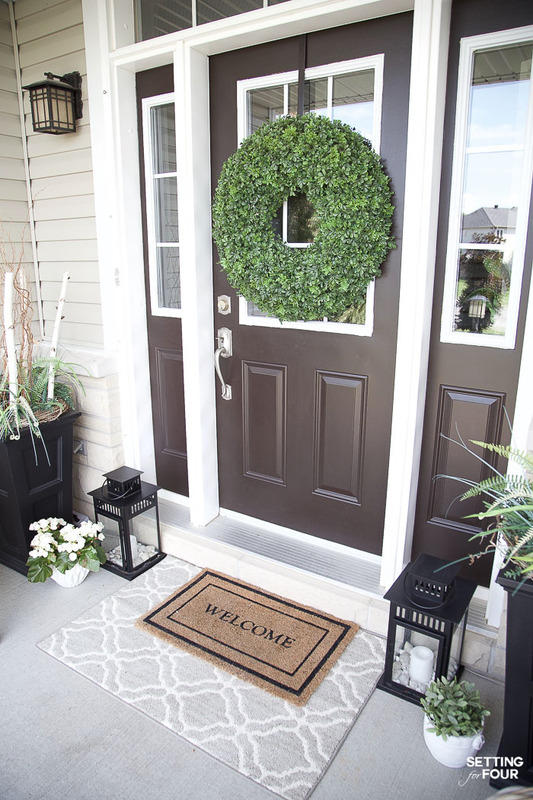 This beginner’s guide includes the formula to creating inviting spaces that you, family and friends will love spending time in! Then print it off and keep it handy! 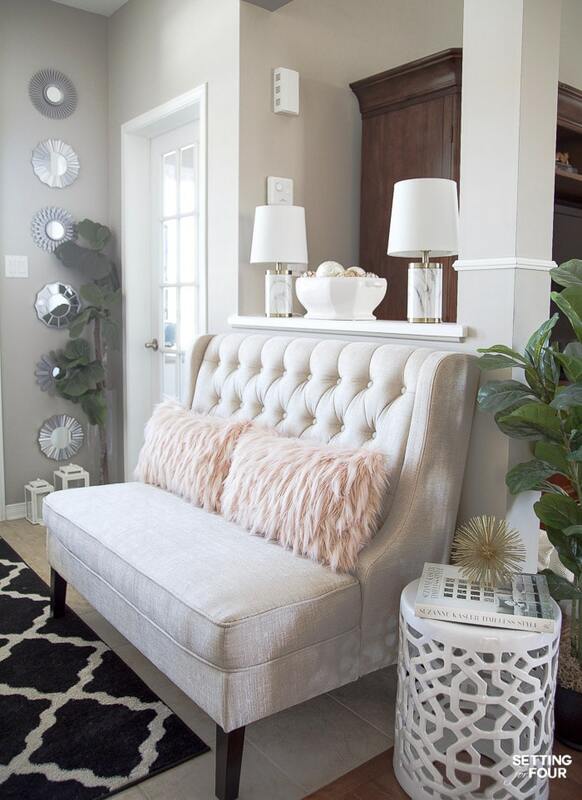 I also offer online decorating services so if you’d like some help with your home or paint color advice, check out the information here. 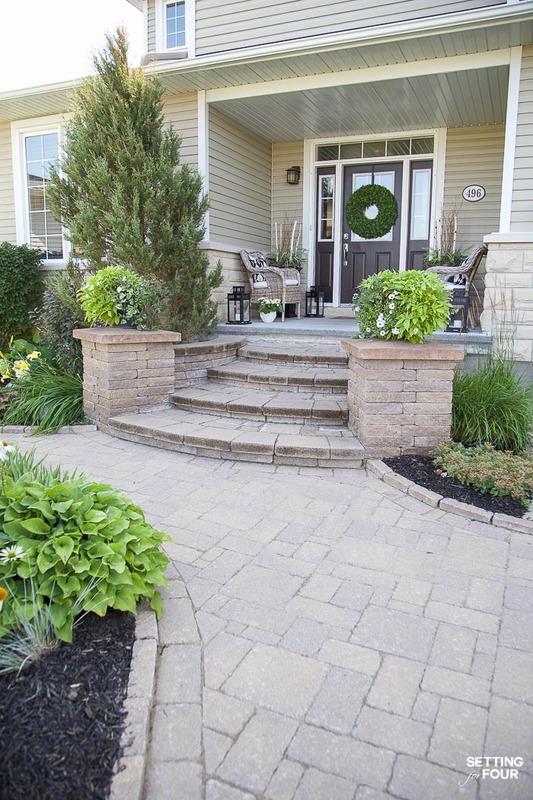 One of the reasons we fell in love with this house was it’s beautiful curb appeal – we love the interlock stone pathway, steps and pillars! 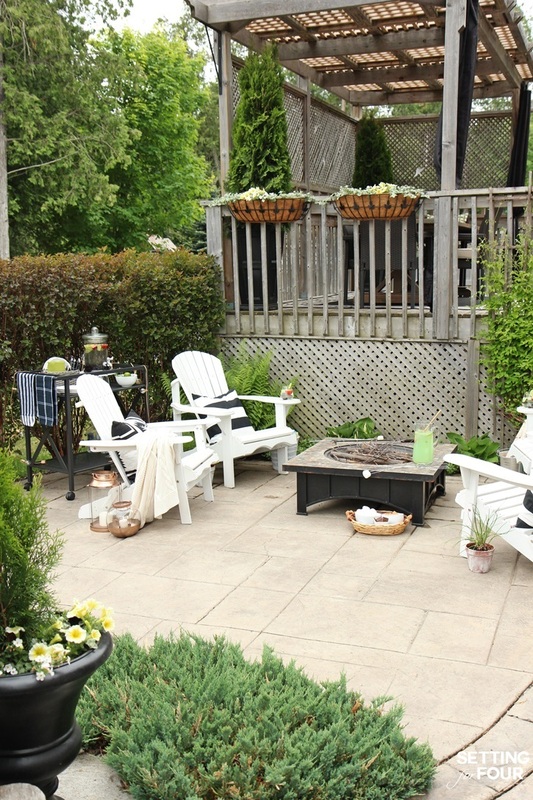 Our home was completely landscaped by the previous owners – and they did a gorgeous job with all the grasses, perennial plants, flowers and trees. Shop the Look! Click on the images below to see more about each item and scroll using the arrows to see all the items! 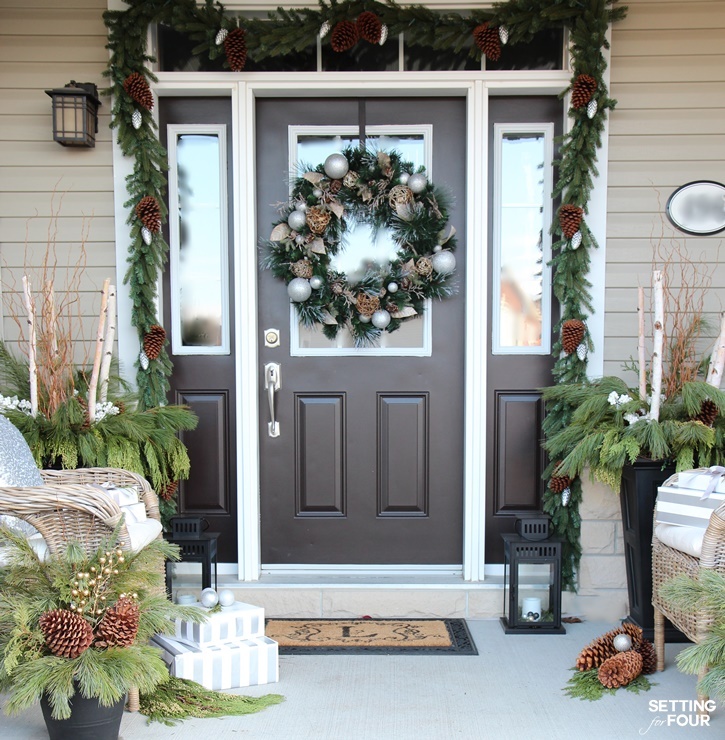 See all my seasonal and holiday porch tours & decor ideas here. To see where you can buy the items on my porch, just click on the photos below. When you click on a photo it will take you directly to the website where you can buy it! 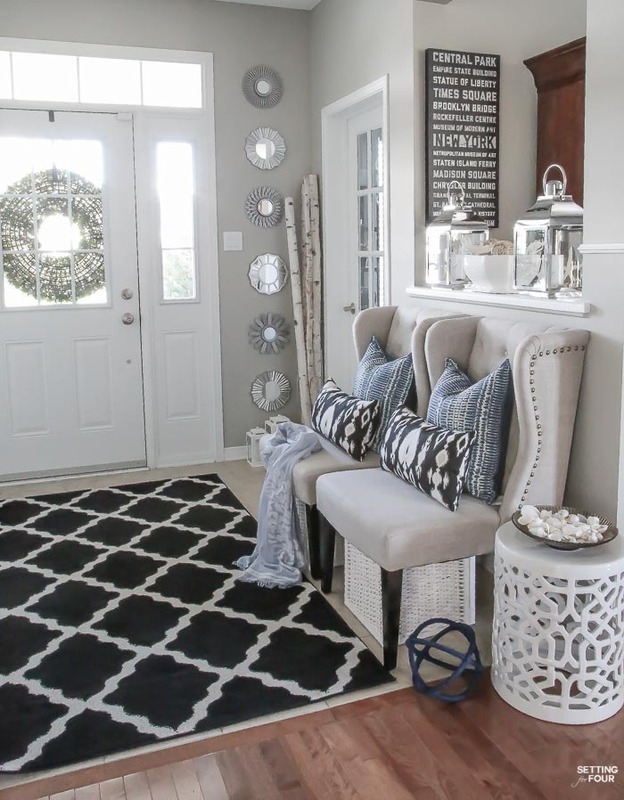 To see where you can buy the items in my entryway, just click on the photos below. When you click on a photo it will take you directly to the website where you can buy it! 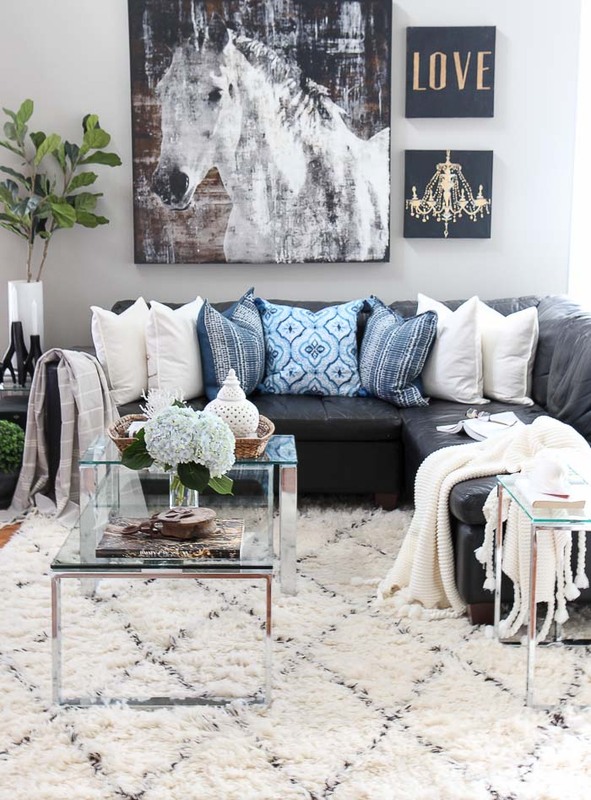 The beautiful abstract horse art in my family room is from HomeGoods a few years ago. I’ve found other horse art that I think is gorgeous that you might like! To see where you can buy the items, just click on the photos below. When you click on a photo it will take you directly to the website where you can buy it! 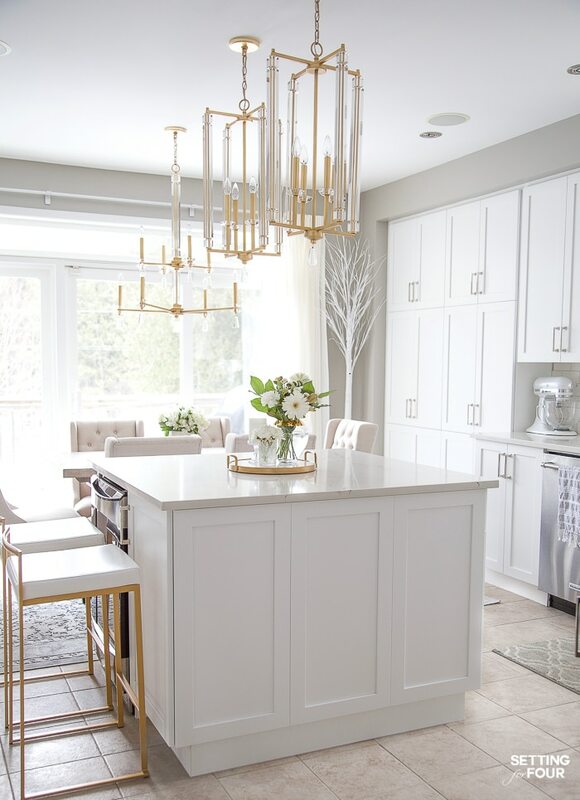 See our recent Our Dark to White Kitchen Remodel! We refaced our brown wood cabinets to get this beautiful white kitchen! 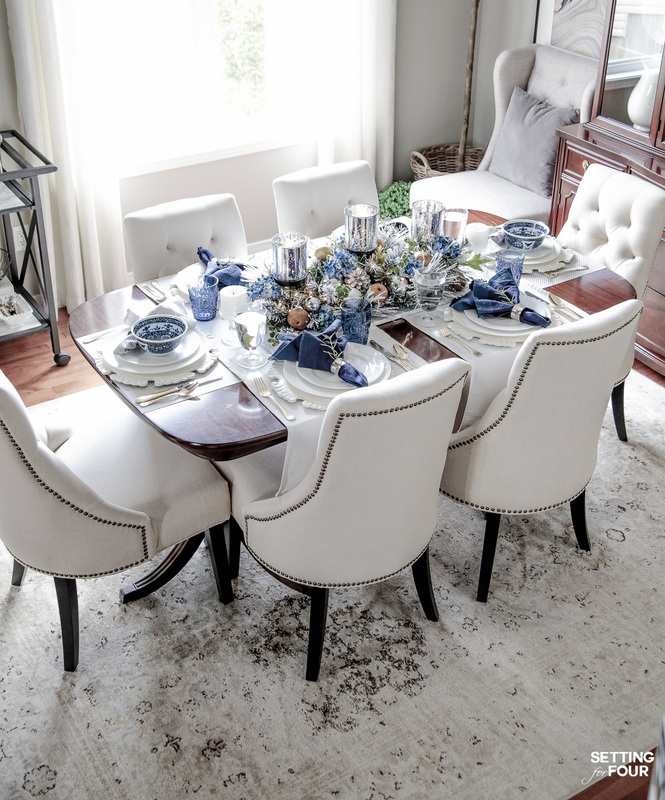 To see where you can buy the items in my dining room, just click on the photos below. When you click on a photo it will take you directly to the website where you can buy it! 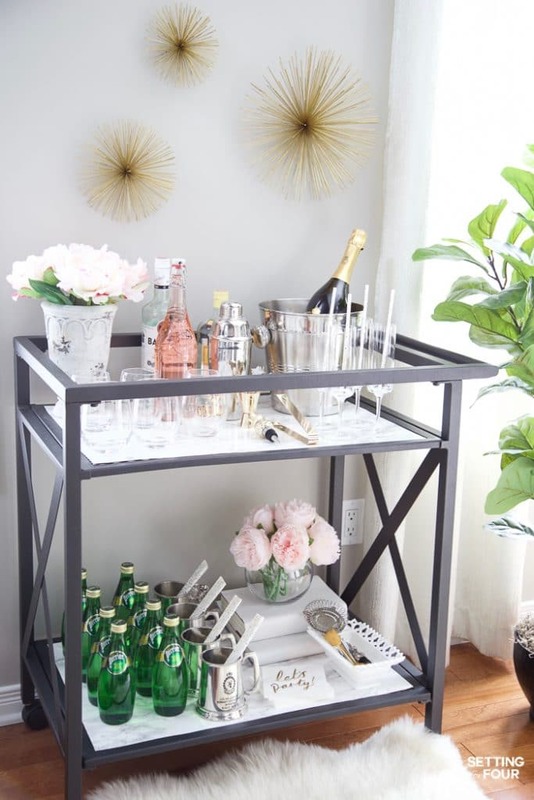 To see where you can shop this similar bar cart set up, just click on the photos below. When you click on a photo it will take you directly to the website where you can buy it! 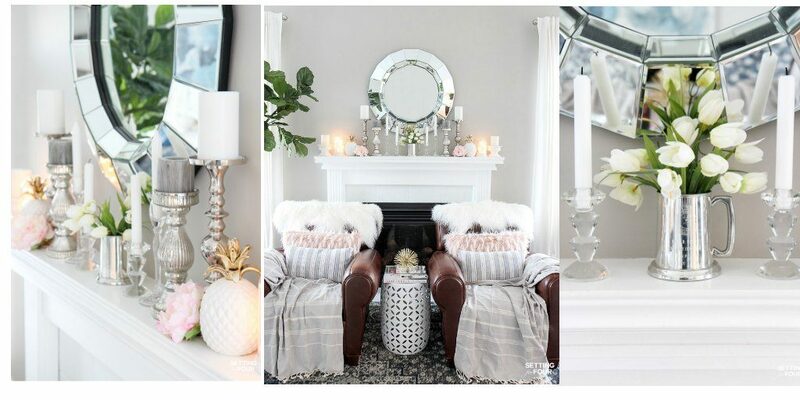 To see where you can buy the items in my living room, just click on the photos below. When you click on a photo it will take you directly to the website where you can buy it! 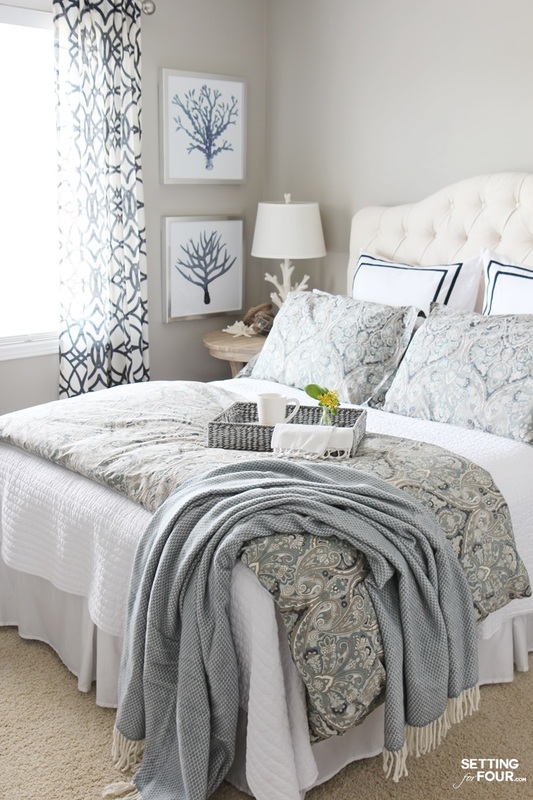 To see where you can buy the items in my guest bedroom, just click on the photos below. When you click on a photo it will take you directly to the website where you can buy it! 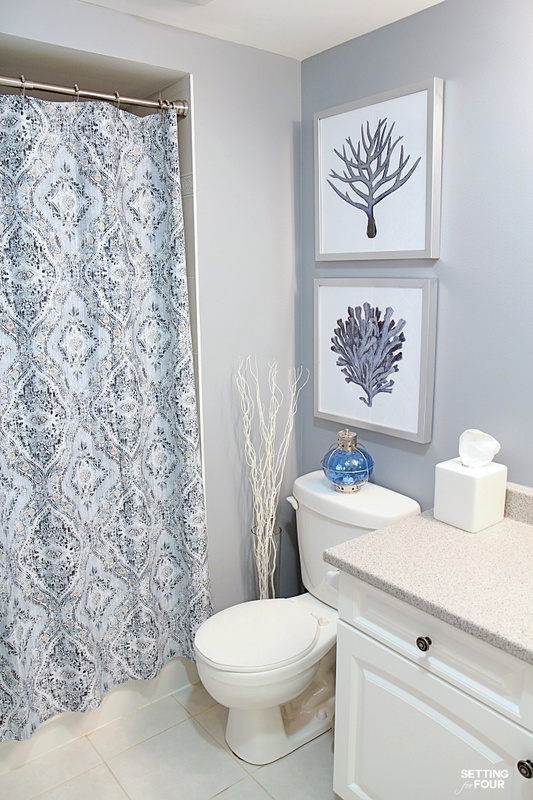 To see where you can buy the items in my bathroom, just click on the photos below. When you click on a photo it will take you directly to the website where you can buy it! 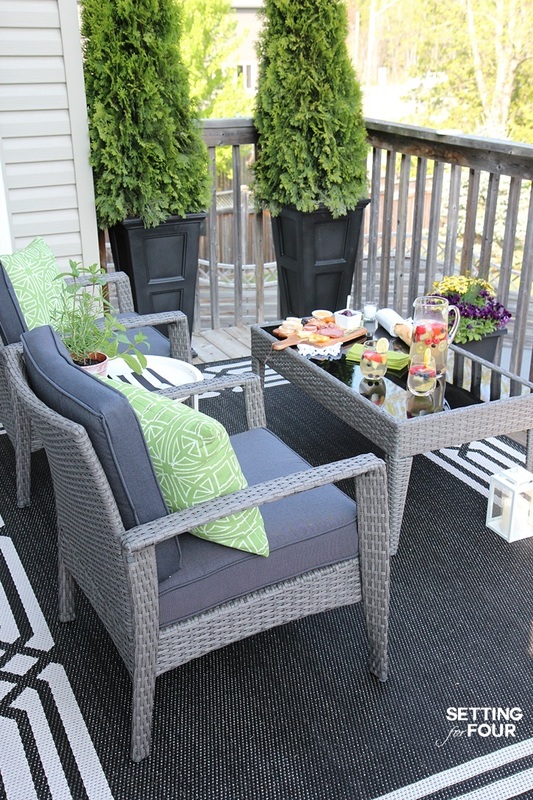 To see where you can buy the items in my outdoor deck space, just click on the photos below. When you click on a photo it will take you directly to the website where you can buy it! 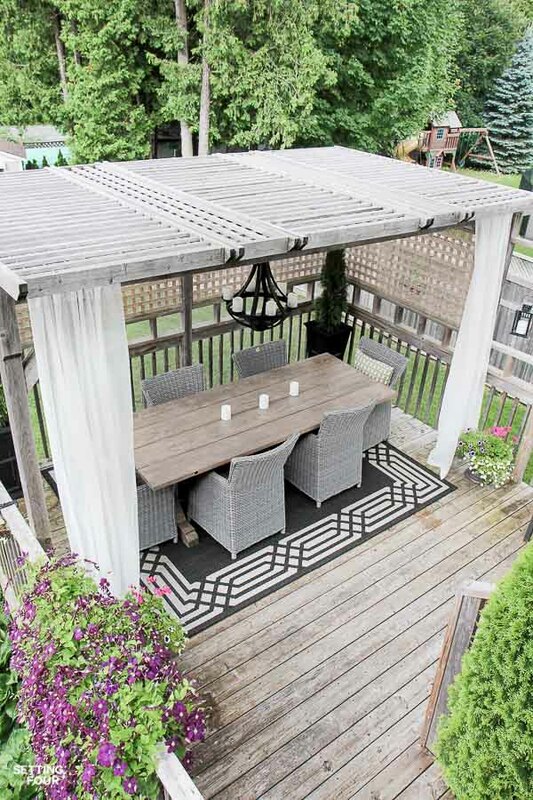 To see where you can buy the items in my outdoor gazebo dining area, just click on the photos below. When you click on a photo it will take you directly to the website where you can buy it! To see where you can buy the items in my fire pit seating area, just click on the photos below. When you click on a photo it will take you directly to the website where you can buy it! To see where you can buy my favorite photography and tech items just click on the photos below. When you click on a photo it will take you directly to the website where you can buy it! 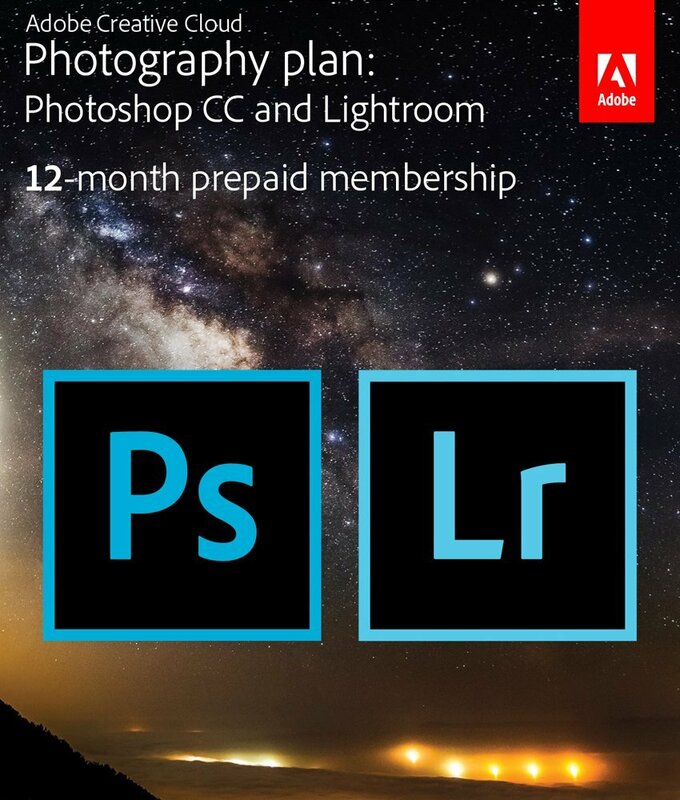 I primarily use Adobe Photoshop and Lightroom to edit my blog photos – it’s AMAZING and I don’t know what I would do without it! 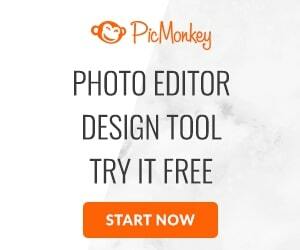 Sometimes I use Picmonkey to edit the photos on my blog – it’s easy and FUN! Here are all the blogging tools I use and love! Tailwind let’s you schedule pins on Pinterest! I love using it – it’s so easy to use and saves me tons of time! When I started blogging my email signups were through feed burner. Now I use Mad Mimi and love it! It ‘s very easy to set up and their online support is fabulous and speedy! It’s helped me to grow my email list and it is very easy to customize and manage. 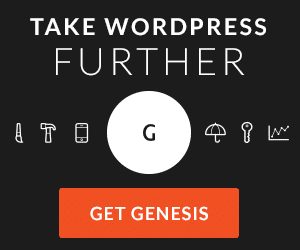 The Genesis Framework is the one that I use here at Setting for Four. To find a theme for your blog, StudioPress Themes for WordPress has a lot of options. Choose the one that will fit you and your blog’s needs. !!! HOME, FASHION & BEAUTY SALE ALERT !!! CATCH THESE NEW SPECIAL OFFERS, SALES AND COUPON CODES ON NOW! I hope you enjoyed my SHOP MY HOME Page!